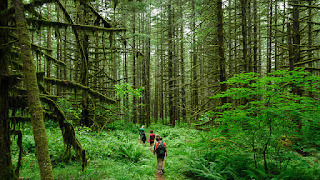 Hiking is one of those outdoor activities that is perfect, fun exercise for almost everyone. Hikers can enjoy many different settings and the benefits of fresh air, natural wonders, and physical activity. My girls and I started hiking when they were babies, and these tips ensure every hike is a big adventure for little feet. When there is nothing to see except trees or rocks, your kids will get bored. I recommend you choose a scenic hike with a pond, creek, or waterfall, or select a spot that's known for wildlife sightings. Bring your binoculars, camera, and magnifying glass and engage with natural wonders to keep kids excited. One time, my girls and I didn't check the weather forecast before our hike and ended up soaking wet and very upset. I learned that day to always plan for the worst and dress for the weather. We take hats, gloves, and a rain coat if necessary, and wear sturdy shoes, cotton socks, and layered clothing. I suggest packing extra sock, just in case. The one time I didn't pack bug spray, we encountered dozens of mosquitoes! Now, I never leave home without a small bag of safety essentials. It includes bug spray, of course, and first aid supplies like pain reliever, bandages, tweezers, and antihistamine. I also pack sunscreen, anti-bacterial wipes, and a whistle. I admit that I like to be in charge, but I also want my girls to develop leadership skills, exercise independence, and gain a sense of responsibility. That's why we rotate leaders during hikes. We take turns setting the pace and acting as a tour guide as we have fun. Even though we rarely hike the same trail twice, my girls do sometimes get bored on the trail. That's why I usually plan a scavenger hunt. It keeps them focused, engaged, and it's educational. You can customize your list based on your children's ages and interests, and the area that you're hiking in. My list typically includes different flowers, leaves, and animals, as well as a variety of colors, textures, and shapes. The last time I checked, hungry or thirsty kids are cranky kids! Energy breaks help your kids stay motivated and happy. I pack granola bars, peanuts, and jerky, along with plenty of water. Feel free to vary your hiking snacks based on your kids' preferences and any allergens. During one of our hikes, my youngest daughter accidentally fell into a mud puddle. I was glad I had an extra change of clothes in the trunk! Another time, one of my girls got distracted by a butterfly, walked off the trail in hot pursuit, and panicked when she finally stopped and realized she couldn't see us. Now, we all carry whistles. 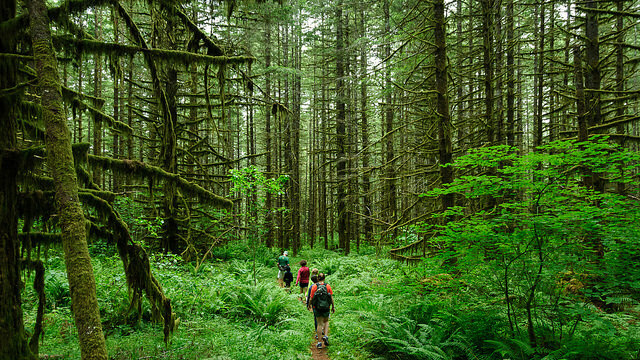 Your family hikes will be more successful when you prepare for anything. For every one step you take, your small kids have to take three steps. Plus, they have less stamina and may tire before you're even winded, and you know they'll want to stop every time they see or hear something interesting. Patience is essential when you hike with kids! Try slowing down, using a carrier if you have small kids, and focusing on exploration rather than reaching a destination as you enjoy nature. Relax and take the time to experience the hike together. Our kids will one day be Earth's caretakers, and it's our duty to make sure they know how to be good stewards. My girls know that we collect all our trash as we leave no trace. They've even made a game of finding trash on the trails we hike because we want to leave the trails cleaner than we found them. I carry an extra garbage bag to make this much easier can hygienic. My family loves to hike. It's big adventure for little feet. Start having fun with your family when you follow these nine family hiking tips. And if you have other hiking tips for kids, share them with us!